How do you feel about parsnips and turnips? Can you imagine your child liking them? I can! I ask these questions because I think these vegetables often get overlooked. If you’re not sure about them, please trust me that you’ll love them in this recipe. And there a solid chance your kids will too! 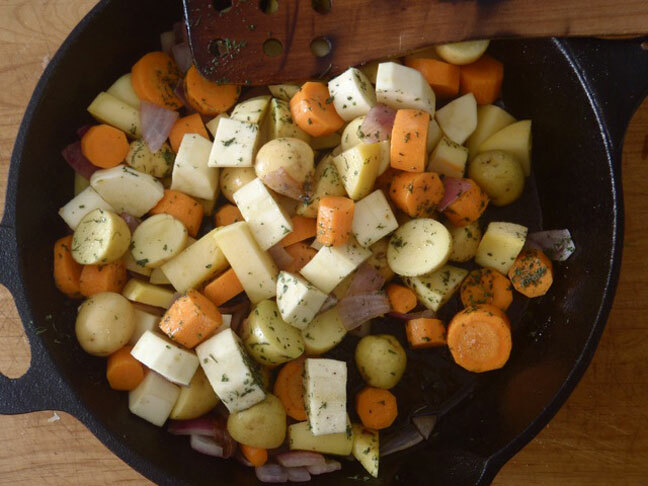 Root vegetables are absolutely wonderful this time of year — they’re in the “warming foods” category. Foods that take longer to grow are generally more “warming” than foods that grow quickly. I will go ahead and toot my own horn here because this is one of my favorite vegetable dishes I’ve ever made! It’s utterly delicious! Just scrumptious! Preheat the oven to 475 degrees and adjust an oven rack to the center. Once peeled, cut all vegetables into approximately 1 to 2-inch pieces. The potatoes are often small enough just as they are — if some seem a bit bigger, cut them in half or fourths. Heat an oven safe, large saute pan (cast iron is perfect) over medium-high heat with the olive oil. First cook the onion until soft, about 3 minutes. Then add the remaining vegetables and thyme and cook over high heat for about 5 minutes, stirring periodically. Season with salt and pepper and place the pan in the preheated oven for about 25 minutes, stirring approximately every 7 minutes or so. 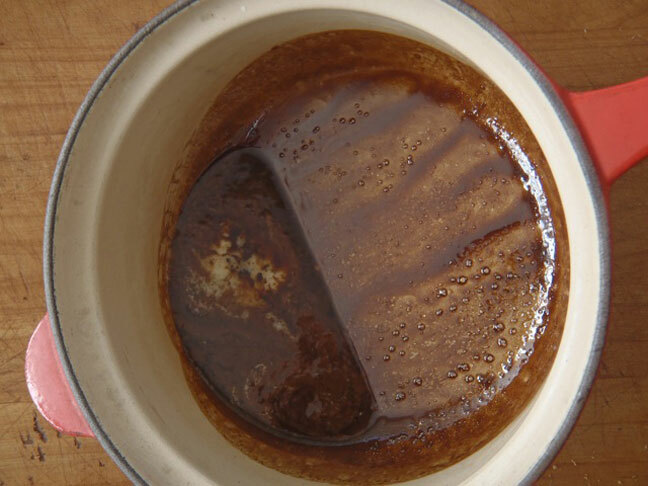 While the vegetables are in the oven, add the balsamic vinegar to a small saucepan and bring to a boil over high heat. Immediately reduce the heat to a simmer and continue to cook until it’s thick enough to coat the back of a spoon, about 10 minutes. Then add the butter and swirl the pan to melt it. 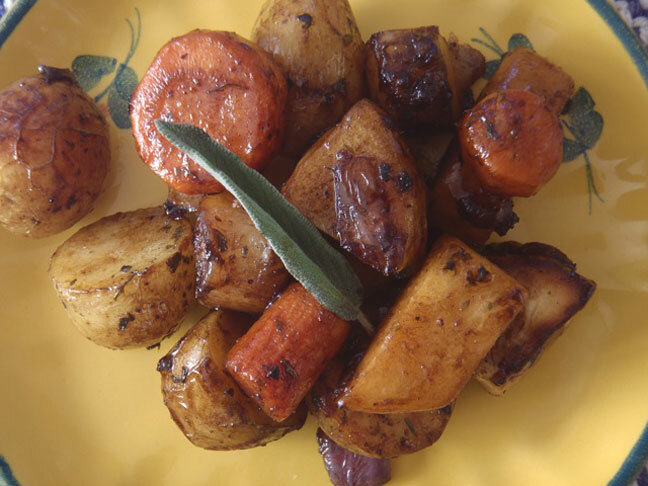 Pour the balsamic glaze over the vegetables when they come out of the oven, and season everything with salt and pepper to taste. Yum!